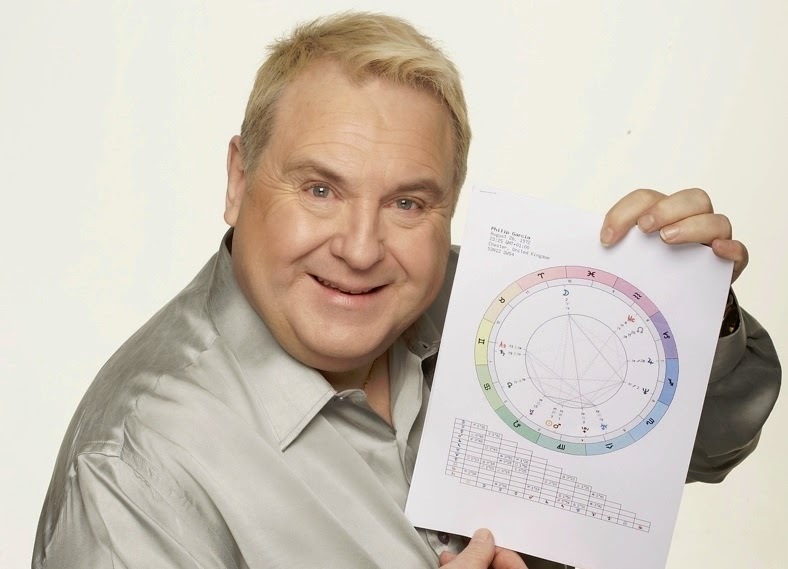 Celebrity UK astrologer Russell Grant has put together a feature showing what's in store for your star sign in 2015. Whether you're looking for love, considering a career change or just looking for direction in life, Russell's Year Ahead Horoscope offers some guidance for the New Year. It’s important to play by the rules between January and mid-June. Resist the urge to cut corners or demand special favours. By showing respect for authority, you will pave the way for future success. It can be difficult for an impulsive character like you to wait your turn, but it is a lesson worth learning. The powers that be are watching your progress closely. They need to know you can be entrusted to follow the rules, as well as enforce them. Your focus will shift to an intimate relationship during the second half of June, when you’ll be forced to share resources with a lover or business partner. Are you single? This is your opportunity to build financial security. Paying off a debt will be challenging, but you can do it by mid-September. Once you fulfil your obligations to creditors, you’ll be free to pursue a course of study or go on an overseas trip. Be sure to do something that will expand your horizons any time between the second half of September through to the end of December. Budgeting is critical between January and the middle of June. This is your chance to achieve financial independence, provided you make a concerted effort to pay your bills. If you’re drowning in debt, consolidate your loans into one, low interest payment. Make regular payments until you’ve totally wiped out this obligation. That will require cutting back on luxuries. Indeed, you may be living on a shoestring for the first half of 2015, but the sacrifice will be worth it. Your love life will require serious attention during the second half of June, when your partner will need extra help. By coming forward at their hour of need, you’ll emerge much stronger as a couple. By mid-September, you’ll be able to redefine the parameters of your relationship. Don’t be surprised if you achieve a new level of physical intimacy at this time. If you’re single, you will be able to meet someone who brings a great deal of happiness to your life. Both of you are extremely sensual and will have good chemistry in the bedroom. Life will be much sweeter thanks to this attentive lover. Erratic friends will prompt you to take a second look at your social circle. You will decide that quality, not quantity, is more important when it comes to social contacts. You’ll begin to ease the flakes from your midst as early as January and will continue to do so all the way through mid-June. Although you hate to hurt anyone’s feelings, you simply can’t tolerate waiting for people who are perpetually late for meetings. Your patience will also wear thin for those who fail to deliver on promises. By June, an important job will start to cut into your leisure time. You’ll be spending more time on an engrossing assignment that requires every bit of your focus. If you do a good job with this client, you’ll pave the way for bigger and better contracts. Once mid-September arrives, you’ll have more time for your personal life. This may mean spending romantic evenings with your partner, rather than going out in large groups of friends. 2015 is about establishing intimacy and getting serious about what you really want from life. Getting serious about a casual romance will be in the cards between January and mid-June. You’re no longer interested in having fun. You want to build a life with someone special. If you’re already in a committed relationship, you will have to make a concerted effort to be more passionate towards your amour. It’s so easy to fall into a boring pattern when you’re used to being together. Don’t make that mistake in 2015, when it becomes imperative to inject some passion into your life. The period between June and September causes you to make big changes to your home life. You may ask an elderly relative to move in with you, or it’s possible you will move to a smaller place. There’s even a chance you will be dealing with some residual pain from childhood. Working through these issues with a trusted therapist will be tremendously helpful. Things on the domestic front will settle down in late September, when you’ll be inspired to develop some latent creative talent. Family responsibilities will continue to require a great deal of time between January and mid-June. An elderly relative may require your care. You might be called upon to give extra instruction to a child who is struggling in school. It may be necessary to make room in your household for an out of work relative. If you’re struggling with house payments, you might decide to move to a smaller place that is more affordable. Whatever the changes ahead, they will try your patience. Lean on friends and family when you need an emotional boost. By mid-June, you’ll have to work extra hard to stick to a schedule, as mechanical breakdowns and traffic snarl ups will delay your progress. Be as flexible as possible and make sure to bring in your car for regular servicing. Backing up your computer on a regular basis is also recommended. Once late September arrives, you’ll be back to attending to family matters. An older relative’s advice is definitely worth taking. Addressing these domestic dramas will increase your confidence and strengthen your resolve. Close relatives and neighbours will be less than helpful, especially between January and mid-June and then again from the middle of September until the end of the year. If you’re going away, make sure you have several names of reliable sitters for children and pets. It may take a few phone calls before finding someone who can care for your precious ones while you’re away. Mechanical trouble could also rear its ugly head. Be sure to have your car serviced on a regular basis and be ready to replace any faulty wires or tires whenever a problem arises. Money will be tight between the middle of June and the second half of September. Learning how to operate more efficiently will be critical. You won’t have much spare time, so make the most of your working hours. By increasing your productivity, you’ll be able to withstand cuts to your department. Acquire as many skills as you possibly can at mid-year. If you’re having difficulty finding work, it may be necessary to take a temporary position. Job prospects will improve from late September onward. Sticking to a budget remains important during the first half of the year. There won’t be a lot of money for extras, due to financial responsibilities. Paying off a debt, helping an unemployed relative and struggling with a higher cost of living are among the possibilities. The good news is that you have a natural ability to make your money stretch as far as it can possibly go. By finding even more ways to save money between January and mid-June, you’ll be ahead of the game. Your focus will move to kicking a bad habit from the second half of June through to the middle of September. This is a great opportunity to replace destructive tendencies with healthier practises. Breaking your dependence on toxic substances and people will be difficult, but worthwhile. By the time late September arrives, you’ll have a greater measure of control over your life. Saving money for a rainy day will be a good use of your time. Start getting into the habit of putting a set portion of your income into a savings account. It’s important to take your needs seriously between January and mid-June. Instead of worrying what will make everyone else happy, put your priorities first. If this means getting more sleep or exercise, so be it. You’ll have to scale back commitments to others, but it can’t be helped. If you’re determined to switch careers, you’ll have to go back to the classroom. Spending less time with friends and family will be part of the equation. Don’t back down from your goal. By the middle of June, the focus will move to your private life. Certain people who have been draining your energy will be thrown by the wayside. Onlookers will be shocked by your seemingly callous behaviour, but you really don’t owe them any explanations. Do whatever is necessary to create a life of peace, tranquillity and contentment. If that means turning your back on troublemakers and emotional vampires, do it. Once late September arrives, you’ll resume striving towards an important goal. There won’t be much time for fun and games, but you will make tremendous progress during this fateful period. Facing your demons will be a continuing theme from January through mid-June. Use this time to take stock of what you really want from life. Any relationships that drain you of energy will fall by the wayside. You simply don’t have the patience to deal with emotional vampires anymore. Once you drive these pests from your midst, you’ll have more time for solitary projects. Spending time on a hobby will be spiritually rewarding. It will be a relief to do work that isn’t related to income or status. Whether you’re working with fabric, wood, clay, or semi precious stones, this activity will bring profound contentment. Your focus will change during the second half of June, when you’ll get involved with a prestigious charitable organisation. Donating your time and money to a good cause will renew your faith in humanity. You will also get the chance to spearhead a fundraiser. Thanks to your executive ability, a worthwhile cause will be considerably enriched. The job will be finished in late September, allowing you to resume your hobby with renewed enthusiasm. It’s important to be discerning about your social circle, especially between January and the middle of June. Someone who keeps breaking promises and missing appointments isn’t worth your time. You need to surround yourself with wise, witty people who can both give and receive. If you’re looking for work, who you know will be more important than what you know. Don’t hesitate to ask influential friends to write letters of recommendation. Although you’d rather get a job on your own merits, you can’t afford to be idealistic in this economy. Your career prospects will improve greatly between mid-June and late September. Take this opportunity to apply for a high powered position in your desired field. By projecting intensity and determination during an interview, you’ll land this plum position. The final four months of 2015 are ideal for pursuing a cherished dream. You might have to cut back on social pursuits to reach this goal. Happily, this won’t seem like much of a sacrifice. You’re ready to advance to the next level of success. Keep your eyes on the prize. You’ll continue to exude magic and mystery throughout 2015. Be sure to make plenty of time for creative pursuits, as they will bring you great happiness. If you play your cards right, you’ll find a wonderful job in your desired industry between January and mid-June. You’ll be able to uplift and inspire your team, achieving an unprecedented level of success. This position will involve quite a lot of travel, which will be stimulating. You will be homesick from time to time, but this will be a necessary sacrifice. Luckily, you’ll have an opportunity to stay close to home between June and late September. The opportunity to study with a seasoned expert will arrive. Although your lessons won’t come easily, they will serve you for a lifetime. Learning a foreign language, software program, or other advanced skill will increase your value on the job market. By late September, you’ll be back to work, putting in long hours at the office. Don’t get so wrapped up in your professional responsibilities that you neglect your family. They’re the reason you’ve come this far. You can now buy Russell's Year Ahead Horoscope book at www.russellgrant.com. Each book is produced based on your specific date, time and place of birth so no two books are the same. The book contains a monthly Horoscope plus a daily Horoscope for every day of 2015, so why not start the New Year with your Daily Guide to 2015?